If you are looking for a nice medium sized pouch, then perhaps what you need is a kidney pouch, like the Brown Ornate Medieval Belt Pouch. 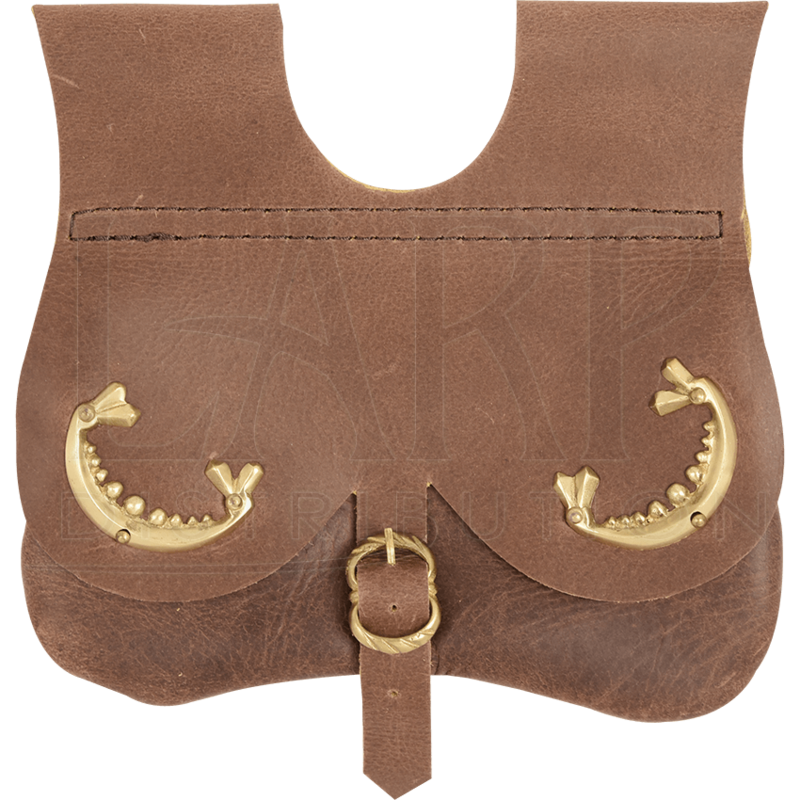 This medieval belt bag is made of brown leather and is perfect for carrying small items. Large enough to hold keys, coins, cell phones, and more, this medieval kidney pouch fastens shut with a top flap that buckles to the front. 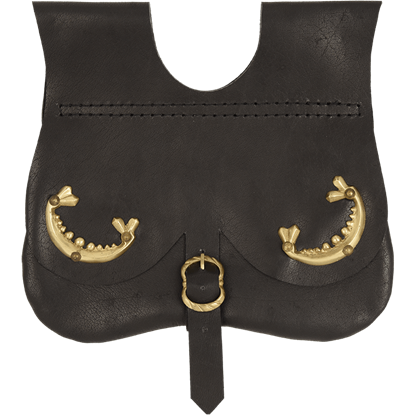 The ornate brass buckle is matched by two ornate brass accents on either side of the flap. Two loops at the top of the back make it easy to wear on most medieval belts. For a stylish way to carry your essentials at the Renaissance fair, reenactment, or LARP, add this brown medieval bag to your outfit. 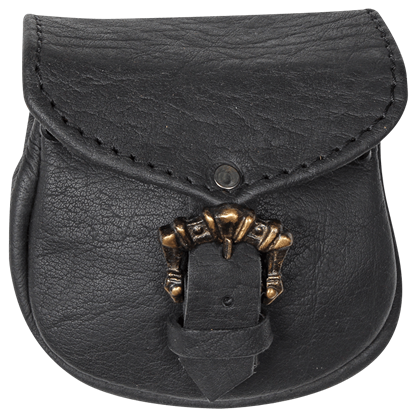 If you are looking for something a bit larger than a traditional coin purse, something sizeable enough for the storage of larger trinkets, then perhaps what you need is a kidney pouch, like the Black Ornate Medieval Belt Pouch.